Eggs Eggs & More Eggs! Happy April! We have some exciting news for Institut Edeline. Our school has been so fortunate over the years, and this time we have been given the gift of eggs. Thanks to the continued support of our partners Greater Good, we have a new invaluable supporter; KORE Foundation, a non profit organization from Haiti. We are excited beyond belief of their contribution to our school. KORE is giving us 300 fresh eggs daily, five days a week. This will provide every student with a hard boiled egg for breakfast when they arrive at school and the remaining eggs are added to their lunch. KORE is a very special non profit. 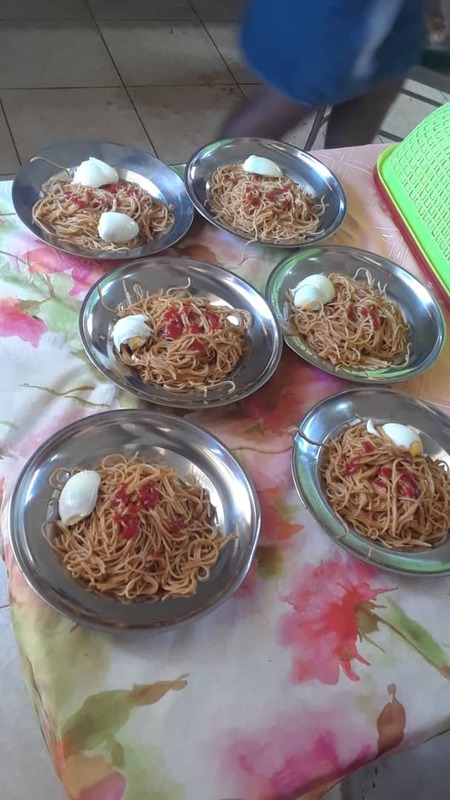 Among many of their missions, “Hope for Today” addresses the immediate needs of malnourished children by adding chicken and eggs to their diets. KORE helps to build the local economy by donating hens to Haitian families. These small holder farmers then sell their eggs back to KORE, who then donates them to local schools. Institut Edeline is one of the lucky recipients.This approach helps Haitian farmers become self-sufficient while providing nutrient-rich foods back to malnourished children in Haiti. Talk about full circle! Our new friends have blessed our kids with protein for years to come and we are forever grateful to Greater Good, and our sponsors for the continued and unparalleled support. Now every meal comes with an egg!